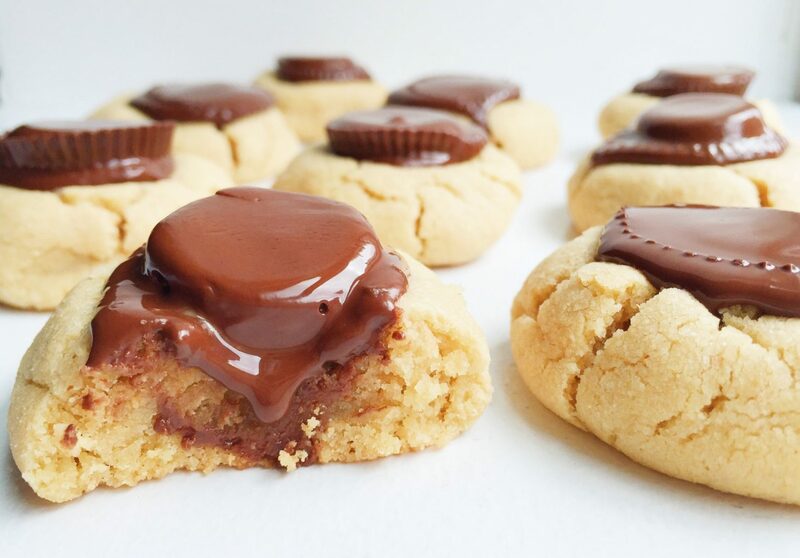 So a couple of days ago I shared my new Gluten Free Peanut Butter Cup Blossoms with you. The softest most peanut butter-y, chocolate-y cookie I have ever ate in my life (and that’s a bold statement). Now myself and some of my amazing blogger girlfriends are here today to all share our favorite holiday cookies for a Holiday Cookie Exchange. I wish I could say we all got together and gorged on everyone’s cookies but we unfortunately have a long distance relationship going on right now. I do like to pretend we got to hang out and dip cookies in nut milk and watched Home Alone 2, The Holiday and all my other favorite holiday movies together, but I will just have to make Jord do that with me. Okay now the COOKIES! 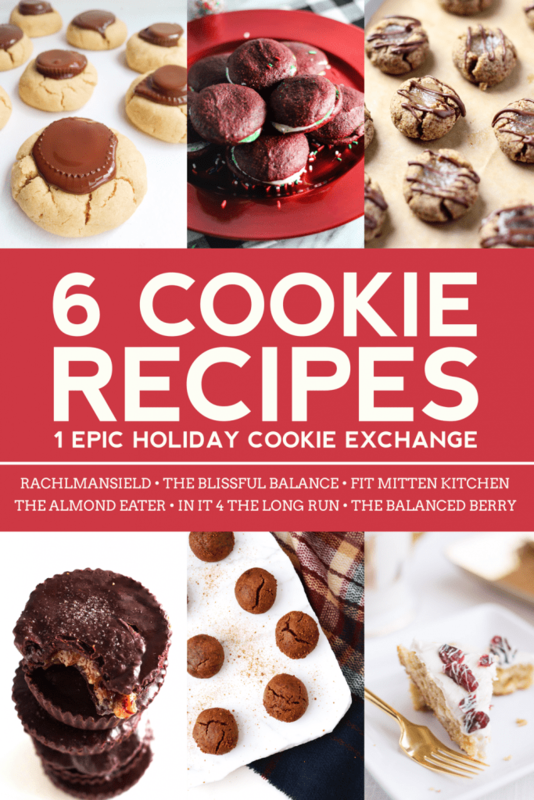 I am so excited to share each of these cookie recipes with you guys. 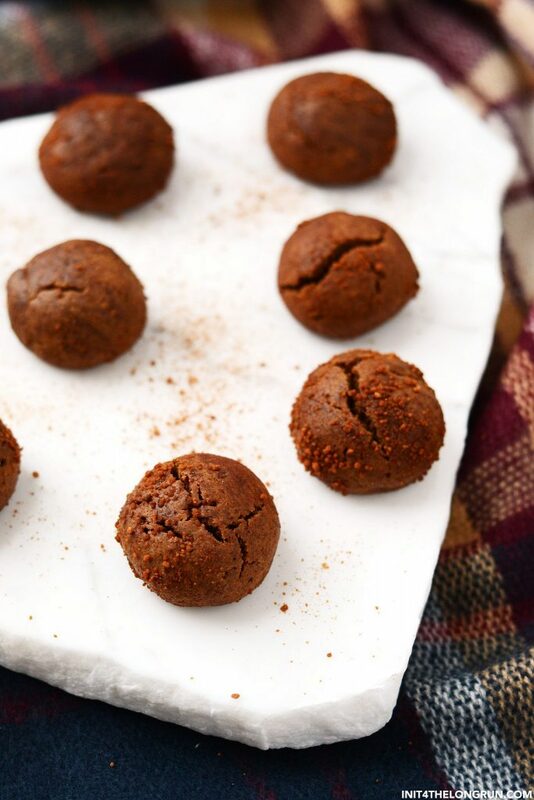 They are each so unique, so delicious and absolutely perfect for a Holiday Cookie Exchange. 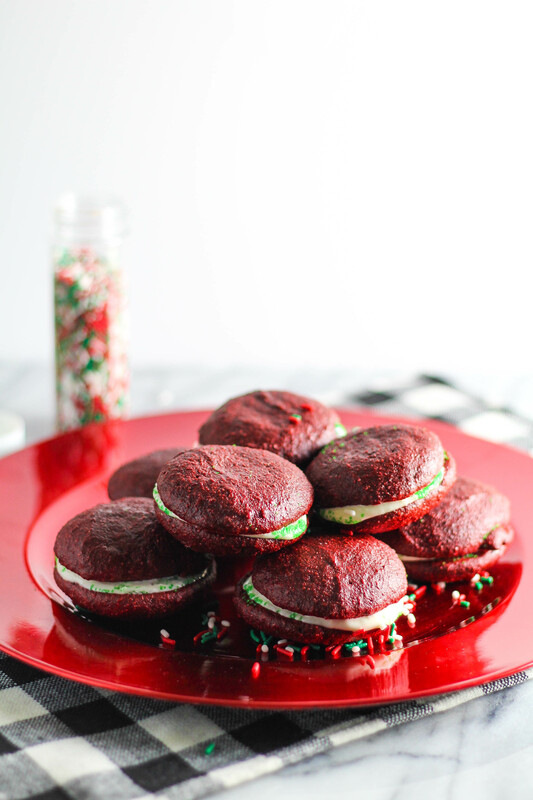 Red Velvet Whoopie Pies by The Blissful Balance. Soft, pillowy cookies sandwich a sweet and creamy cream cheese icing dipped in festive sprinkles making for an all-in-one delectable bite. GingerDoodles by In it 4 the Long Run Spicy, sweet gingerbread meets chewy cinnamon snickerdoodles in these delectable bite-sized holiday cookies covered in coconut sugar. Toffee Almond Butter Cups by The Almond Eater. 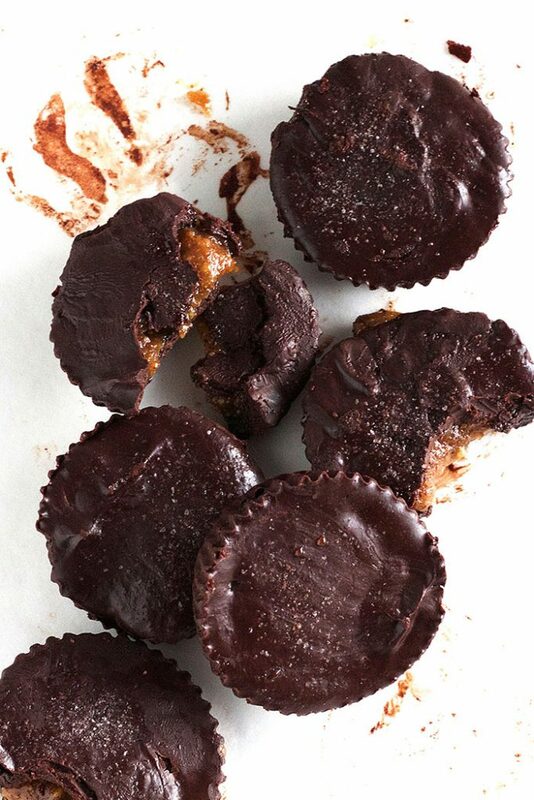 Ooey gooey chocolate cups filled with toffee AND almond butter. These Toffee Almond Butter Cups require just 8 ingredients, 30 minutes and they’re vegan-friendly, too. Cranberry Bliss Bars by The Balanced Berry. Your classic cranberry bliss bar got a gluten free makeover! 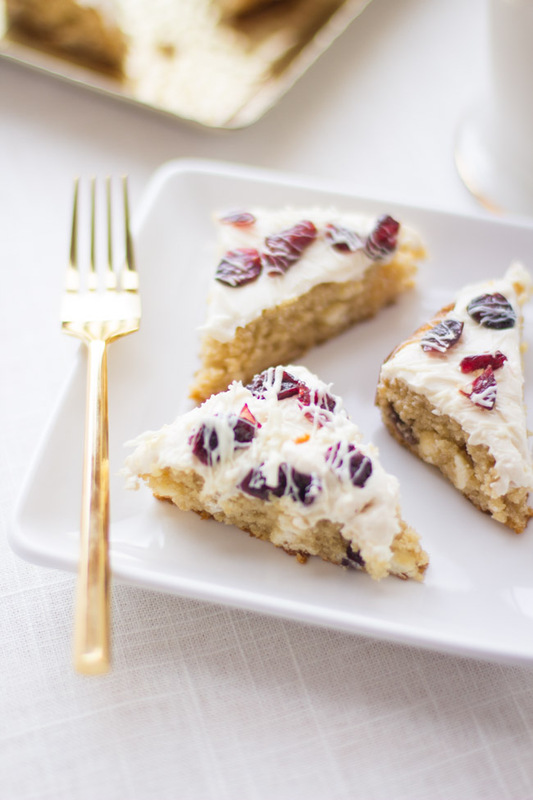 Grain-free shortbread is loaded with cranberries and white chocolate chips then covered with cream cheese frosting, dried cranberries and a generous drizzle of white chocolate. 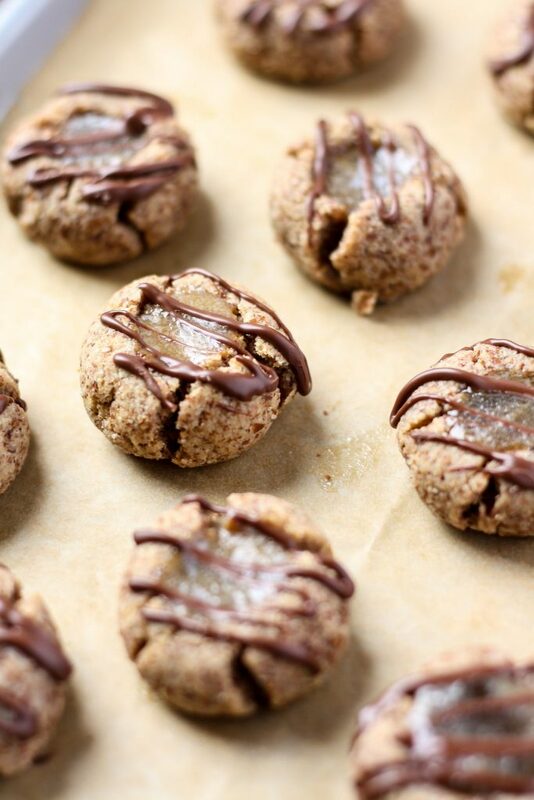 Gluten Free Peanut Butter Blossoms by rachLmansfield Dreamy peanut butter cup blossoms filled with dark chocolate peanut butter cups, creamy PB and made with all gluten free and organic ingredients. Ready in less than 15 minutes! Hope you all enjoy each of these amazing cookies and they are just the inspiration you need for your next Holiday Cookie Exchange! Sooooo dreamy. I wish we could all just have Christmas parties with lotza cookies and hot chocolate. I mean I am not THAT far from you. Next time Georgie is in NYC, I’ll come over 😉 We can make ALL THE COOKIES. Aw thank you so much Shannon!! I hope you try and love them all! !